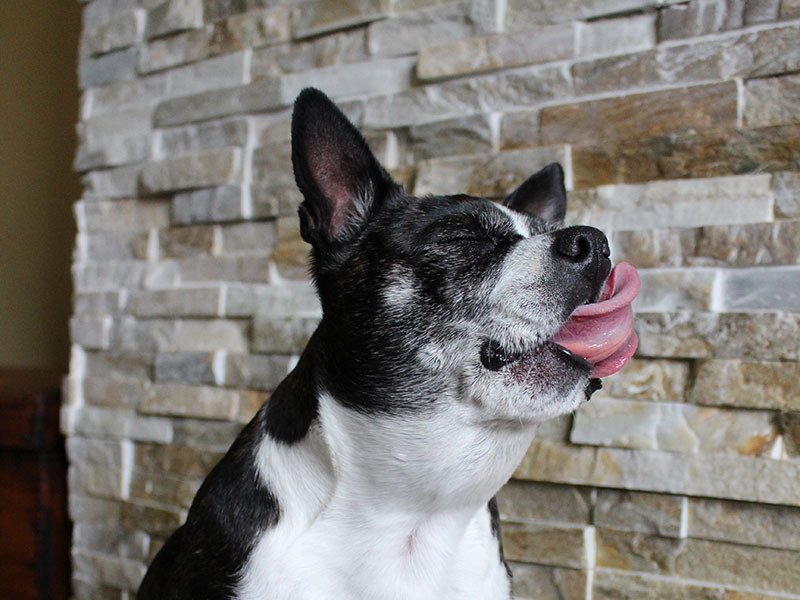 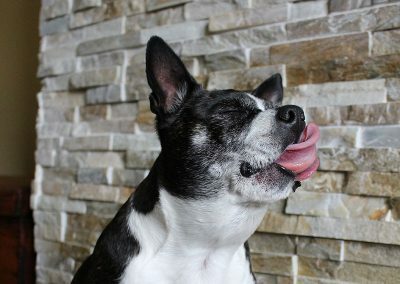 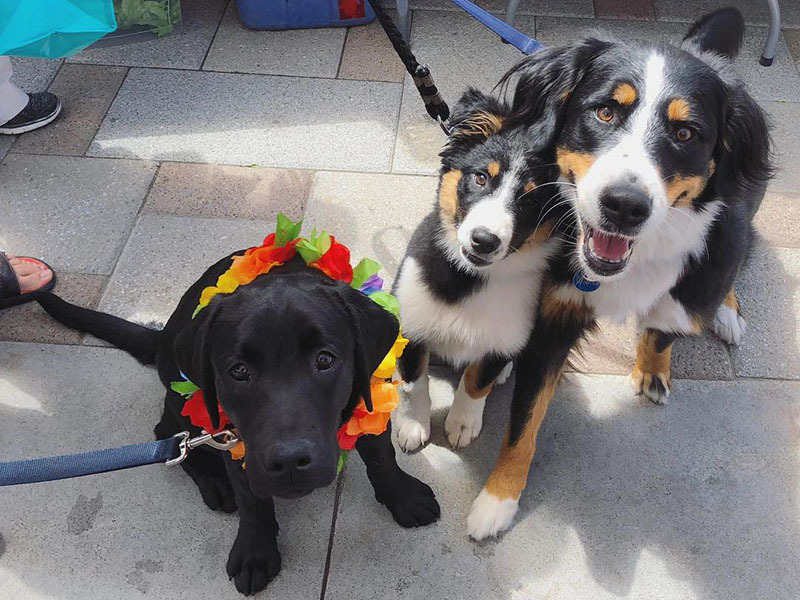 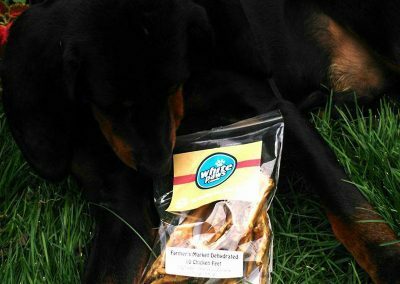 Since our establishment in 2009, we have been expertly crafting healthy homemade pet treats in Perth, Ontario. 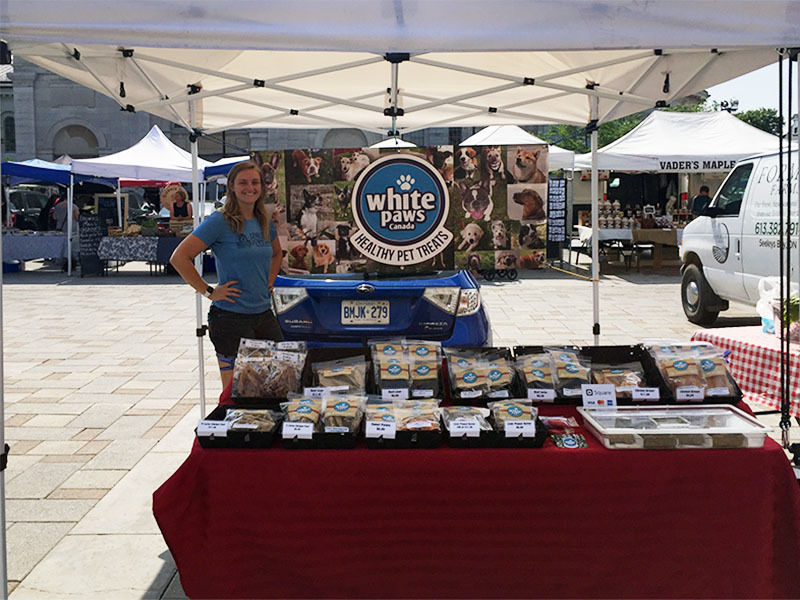 We continually strive to be Eastern Ontario’s #1 choice for drool-worthy dehydrated deliciousness. 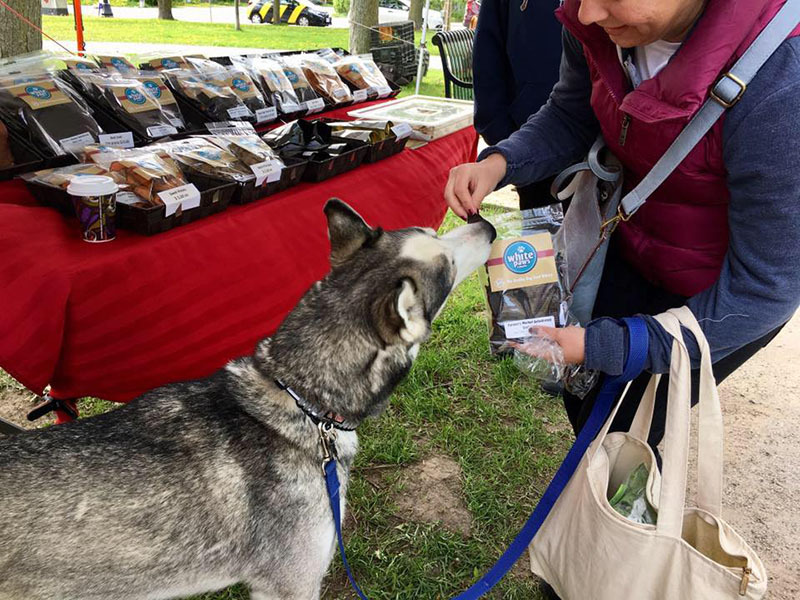 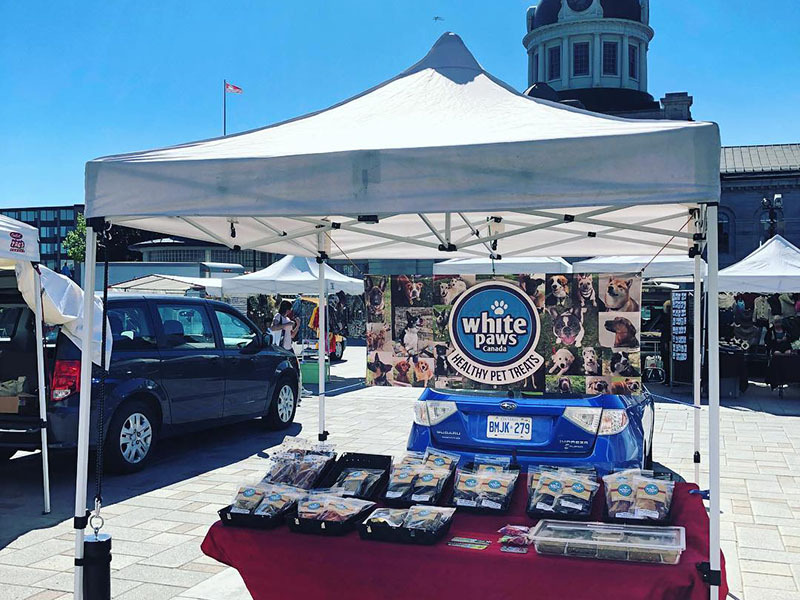 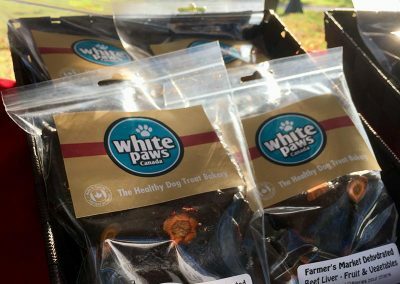 Our Farmers’ Market line of dehydrated proteins and vegetables and our exciting selection of cookies are a wise choice for your pet’s tummy. 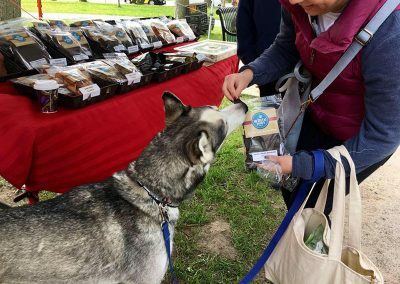 We are proud to offer high-quality treats for pets and pet parents who value freshness, nutrition, and local ingredients. 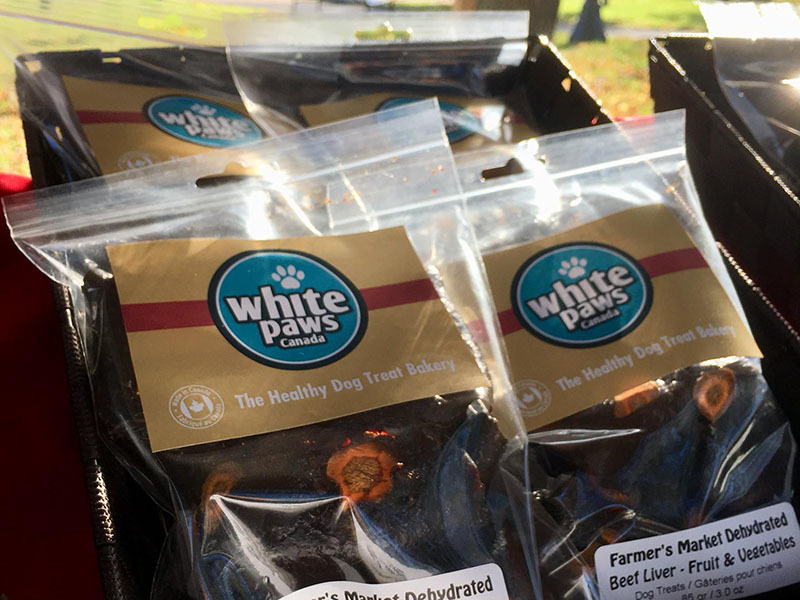 If your pet is in need of that special treat, we’ll make it happen. We have a dedicated production and sales team that will ensure top quality and exceptional services for your satisfaction. 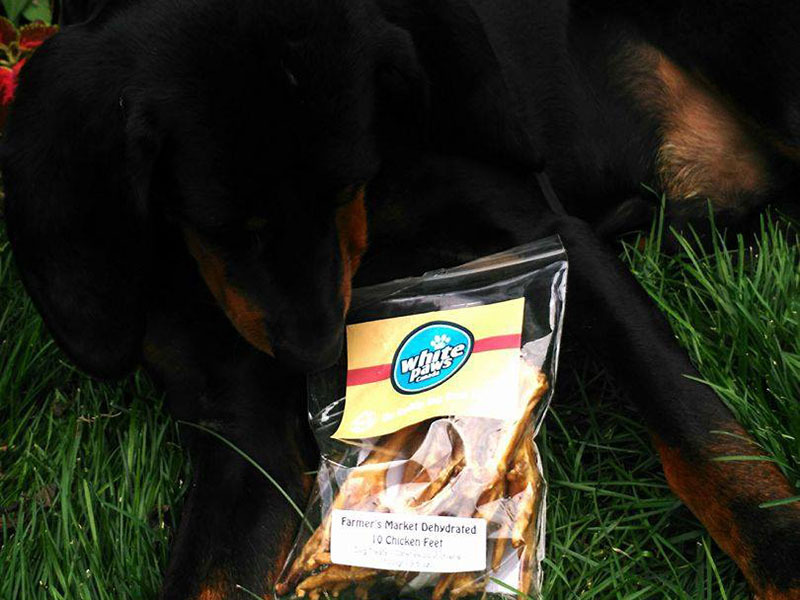 All natural healthy dehydrated pet treats and safe pet toys.